New Ford Focus ST Global Reveal at Goodwood Festival of Speed, New Mustang also Debuts on Famous hill Climb. New Focus ST makes debut on world-famous hill climb; Ford and Sony Computer Entertainment stage first “virtual versus real” race at Goodwood – with Gran Turismo®6 gamers going head-to-head with actual drivers of Focus ST, New Ford Mustang makes first dynamic driving appearance in Europe. 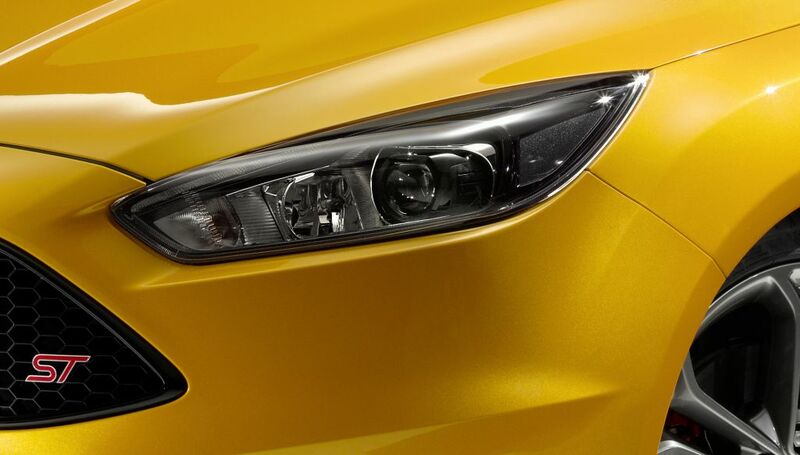 The new Ford Focus ST will make its global debut at Goodwood Festival of Speed in the United Kingdom, June 27. Ford’s new performance model headlines the First Glance category, with professional drivers showcasing the car’s abilities on the world-famous hill climb on all three days of the event. Benefiting from technology and quality improvements revealed earlier this year for the new Ford Focus, Focus ST will be displayed on the Ford stand at Goodwood. First launched in 2002, Focus ST has now seen sales of more than 140,000 units in more than 40 countries. Ford also is teaming up with Sony Computer Entertainment to stage the first-ever “virtual versus real” race on the hill. On its first run each day, the new Focus ST will compete in real time against the Focus ST featured in the Gran Turismo®6 game for PlayStation®3. A designated gamer at the Ford stand will match skills against Ben Collins – formerly The Stig of Top Gear – with the action displayed on big screens throughout the festival. Visitors to the Ford stand also have the chance to record their own times on the Gran Turismo 6 simulators. Also starring at Goodwood will be the all-new Ford Mustang that makes its first U.K. appearance. A 5.0-liter V8 fastback will take part in the Supercar Class, with Ford Team RS vehicle dynamics specialist David Put at the wheel. Ford also will display a Mustang convertible.